Every building has a life of its own and every tenant a story to narrate either if s/he is located in a 22-story block in Brazil or in a minimalist design hotel in another corner of the world. 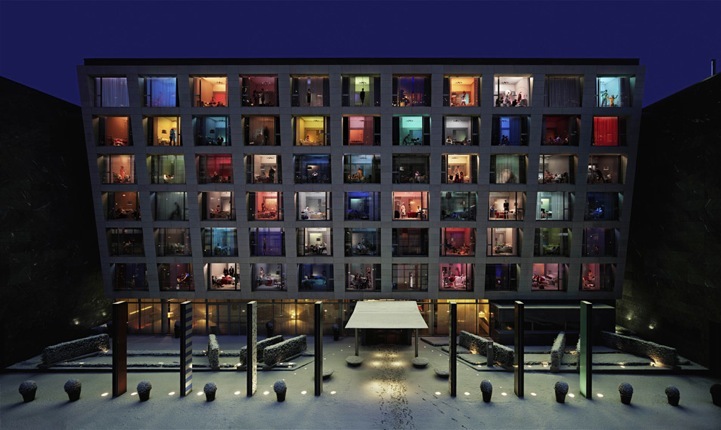 Photographer Kim In Sook (born in Osaka, currently based in South Korea), in her photographic series Saturday Night, reveals the hidden lives of hotel occupants, satisying in a strange way our scopophilic insticts just by watching the objectified other. You are currently reading Behind closed windows at it's a small web.